Our educational legacy began with the founding of the Congregation of Dominican Sisters of Sinsinawa in 1849, and we are inspired by the mission and traditions handed down to us by the Sisters. We are confident that our academic excellence, commitment to service and dedication to the values of Truth, Compassion, Justice, Community and Partnership will allow us to continue to serve the Madison community for years to come. 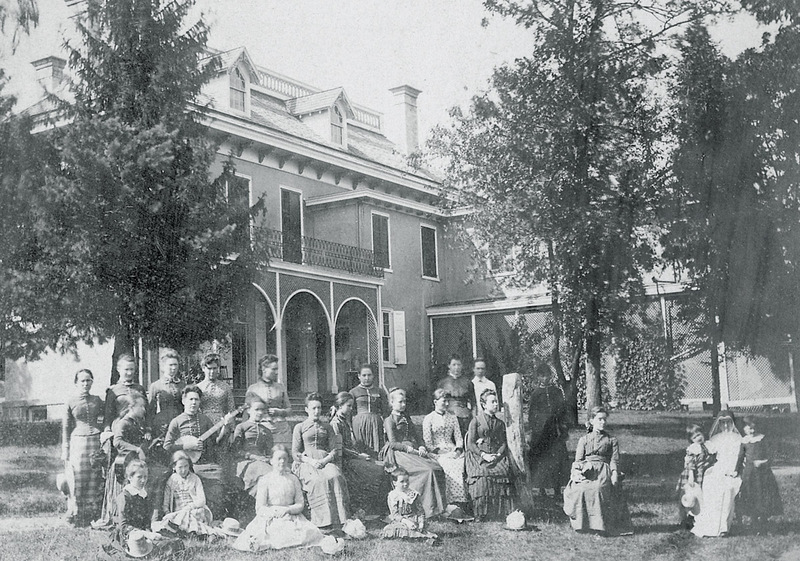 The Edgewood campus story begins in 1881 when a small group of Sisters accept a gift from the Governor of Wisconsin. They see their vision grow over the decades to now encompass three schools on a single campus, plus an additional off-site location, serving students from kindergarten through doctoral degrees. Landmark events, the origins of some traditions, and a few of the influential people in our history are described here. 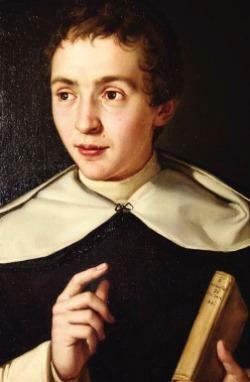 Blessed Samuel Mazzuchelli, OP, an Italian Catholic missionary, founds the Sinsinawa Dominican sisters. He serves both the Native Americans and settlers, founding—and in some cases designing and building—village churches. His mission takes him from the north shore of Lake Michigan through the Fox and Wisconsin Mississippi river valleys into northeastern Iowa. John Ashmead, a Philadelphia lawyer, is struck by the beauty of Lake Wingra and decides to build a house on the lakeshore land he purchases. Edgewood Villa boasts broad verandas with white columns, tall French windows, and soft yellow paint. The doors open to a large hall with an imposing staircase leading to the upstairs bedrooms. Soon after the house is built, however, Ashmead’s wife dies and the griefstricken man returns to Pennsylvania. Samuel Marshall of Marshall & Ilsley Bank (later M&I and BMO Harris) purchases the Edgewood estate and ives there with his family, adding structures to the site. Marshall’s stone carriage house still stands and is currently an Edgewood College dormitory. 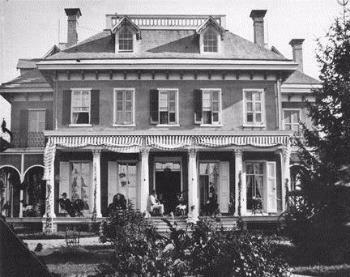 When the Marshalls move to Milwaukee in 1873, they sell the property to Governor Cadwallader Washburn, who uses it as his official residence. The estate is a working farm with orchards, livestock and lakeshore fishing berms. Located so far in the “countryside” that it does not receive postal service, residents must travel into town to collect their mail until 1899. The Sinsinawa Dominican sisters found St. Regina’s Academy in Madison, a school for both boarding girls and non-boarding boys and girls, near the Capitol at the corner of West Washington and South Henry. The sisters offer all basic subjects plus three languages and vocal, instrumental, and visual arts. In the original advertisements for the school, students of all faiths are welcomed. The building, which was across from St. Raphael’s Cathedral, no longer exists. With no further reason to remain in Madison, former Governor Washburn moves to Minneapolis where his businesses have grown to include flour mills, eventually becoming General Mills. He donates his lakeside estate to the sisters for use as a convent and school for girls. The sisters take in and educate both paying boarders and orphaned girls in need. 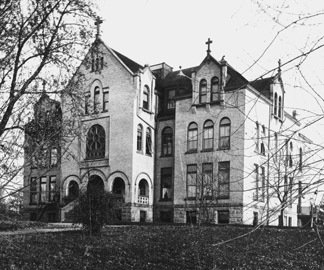 St. Regina Academy at Edgewood is founded and its first graduate is Cassie Matthews, in June 1893. In November, the villa and a new 4-story brick and stone building burn in a tragic fire, leaving only the carriage house and a few outbuildings standing. Three students die and sister is hospitalized after trying in vain to save them. Some of the stone is salvaged and crushed for a driveway, while some other materials are sold, and construction begins once again in the spring on the new structure. The school reopens under a new name, Sacred Heart Academy at Edgewood. The Madison Democrat proclaims, “The position of the Academy, aside from the beauty...of the location, assures perfect healthfulness. Its graceful, well-wooded slopes afford ample room for outdoor exercise.” The academy building includes convent and dormitory rooms, classrooms and a chapel. Henry Vilas offers a 25-acre lakeshore parcel to the Madison Park and Pleasure Drive Association and promises $30,000 to have the marsh dredged on the condition that a continuous route be obtained around Lake Wingra. The Sisters donate a strip of land along the shore between Edgewood Avenue and Woodrow Street with the stipulation that the Association build and maintain a fence and cut all dead trees into firewood for the Sisters. An additional wing is built on the Academy, providing new dining rooms. a kitchen and a community room, plus five music rooms and some other classrooms. As the Academy grows, girls of all ages share the same classrooms, working on subject matter appropriate to each girl’s level of achievement. In 1913, Jeanette Washburn Kelsey sends a piece of the glass bearing her family’s crest (now in the Edgewood College archives) from a church in England. Elizabeth Marshall has a bronze plaque cast in 1915 to be placed on her father’s carriage house. With the outbreak of World War I, students at Sacred Heart Academy begin providing volunteer service to the Red Cross, knitting sweaters and wristlets, making pajamas and shotbags, and folding surgical dressings. School has to be closed for a month due to an exceptionally virulent worldwide pandemic of Spanish flu—as many as 40 Sacred Heart Academy students are sick at a time. In 1919, a grotto is erected next to Marshall Hall, dedicated to Our Lady of Lourdes, in gratitude that no sister or student died of the disease that killed thousands. At the request of the growing number of the city’s Catholic parishes and parents, boys are admitted as day students. In 1925, Albert Kelsey, son-in-law of Governor Washburn, designs a new cream brick building decorated with terra cotta tilework. The building has a 10-story tower with wings on either side. 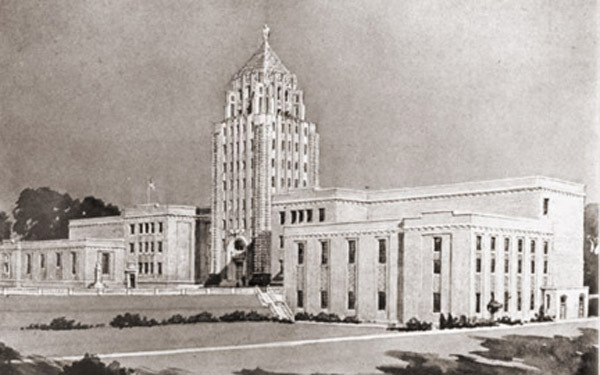 The cost is prohibitive so the plans are scaled back to include just a 4-story central tower. Edgewood High School of the Sacred Heart opens its doors. In addition, junior college courses are now offered for young women, who live in the tower of the building while the academy building continues to serve as convent, dormitory and classroom/studio space. The east end of the building houses the largest room, a combination auditorium and gymnasium. Coach Willis Jones organizes a football team, with 25 boys reporting for practice. EHS athletes win their first-ever trophy. During the University of Wisconsin’s National Academy Tournament, the Edgewood basketball team is eliminated by Morgan Park of Chicago after a game that goes into four overtimes to end a mere 23-22! But on the following day, Morgan Park bows out of facing the overwhelmingly favored “lanky Texans” from Terrel Academy, and the University asks EHS to be the substitute competition. Though Edgewood loses 43-19, they receive the tournament Sportsmanship Cup. 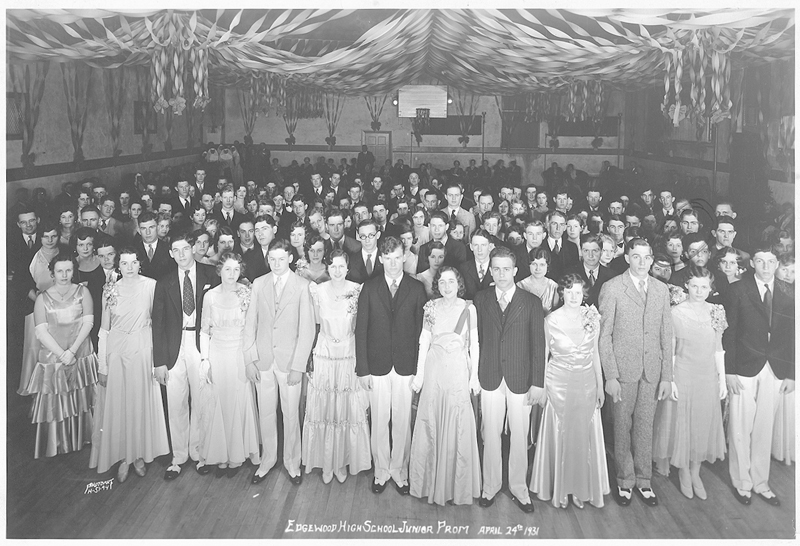 Later in the year, Edgewood High School hosts its first Junior Prom, an annual event to this day, and its first May Crowning ceremony, a tradition that continues into the 1960s. Coach Earl J. Wilke joins the faculty as a biology teacher and coach, and remains at Edgewood High School of the Sacred Heart where he builds the sports program for 50 years. Benefactor and FDR cabinet member Leo T. Crowley purchases one lot on the southeast corner of the property. The proceeds go to pay the bills. Over the years, the working farm operations on the Edgewood property slowly cease. The last cows are sold in 1930 after some Halloween pranksters paint them red, yellow and green. A 50th year celebration and pageant is held in 1931, with Governor Philip LaFollette (son of “fighting Bob”) in attendance. Enrollment continues to climb, reaching 290 in 1932. In 1933, the Edgewood Envoy, a school newspaper, is launched, sharing its name with the school yearbook until that publication changes its name 1946. The Edgewood Orchestra performs live on WIBA radio in 1934. The girls’ physical education teacher 1934-1936 is Elizabeth DuBois, who had won the 1000m women’s speedskating and took second place in the 500m at the 1932 Olympics (the events were exhibition that year). Among the celebrities who have connections to Edgewood are world-renowned stage and screen actress Helen Hayes makes occasional visits to campus beginning in 1935 through the 1950s so that she can maintain a friendship with Sr. Marie Aileen Klein, who had taught her elsewhere years earlier. She also returns to Edgewood College in 1991 to accept an honorary degree. Earlier in the school’s history, artist Georgia O’Keefe had been a boarding student for one year, in 1901. And in 1944, composer Igor Stravinsky visits the Edgewood campus with pianist Nadia Boulanger, who was a friend of Sr. Edward Blackwell. Stravinsky offers a lecture/concert, his only Madison performance. Construction is completed on an addition at the west end of the building, balancing the east end extension. The added structure includes a new gymnasium and locker rooms, a cafeteria and a small band room. With the addition at the other end of the building, the former gymnasium/auditorium is renovated as a lecture and performance space and a permanent stage is built in the space that had been locker rooms. This view of campus in 1939 shows the addition (below front circle) as well as the Sacred Heart Academy building (upper right) and the remaining field and farm outbuildings (center right). Edgewood College, which has been offering classes toward an undergraduate degree since 1940, receives final approval as a four-year institution. Eighteen Sisters from the classes of 1941 and 1942 receive Bachelor of Science degrees in Education. The Edgewood High School basketball team wins the school’s first statewide All-Catholic Basketball Championship. 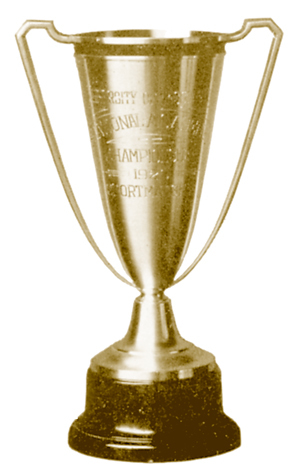 The team successfully defends its title in 1943. 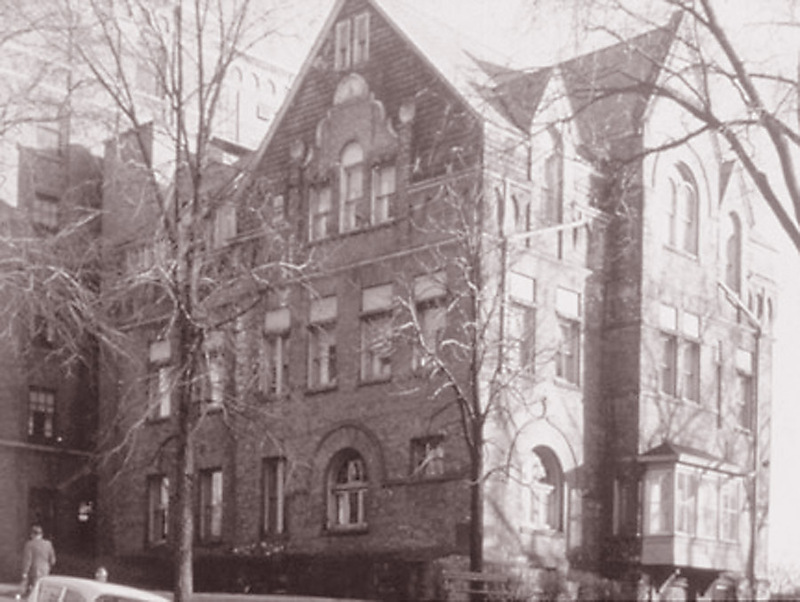 Marshall Hall opens in 1944 as a residence for 56 college students after architect Joseph Flad redesigns the interior of the former carriage house, including a new, pine-walled recreation room in the lower level and storerooms and laundry facilities in the basement level. • The Edgewood Athletic Association is established in 1945 as a committee of the Knights of Columbus. • A six-member cheerleading squad attends football games in fall 1946. • An all-female service organization, the Flame Throwers, gets its start in 1947, visiting the sick and elderly, serving at St. Martin House and distributing gifts to the poor. A Mission Club formed about the same time packs medicines for those in need overseas and in the poorer regions of the US. • The following year, the EHS Dramatics Club is formed, leading to EHS Chapter 1036 of the National Thespian Troupe, which holds its first induction ceremony in 1953. • The Edgewood Band Association is formed in 1949, raising funds for instruments and uniforms; it launches its first candy sale fundraiser in 1955. The Band itself has grown to 65 members and performs not only at the school but in parades across the state. • The first EHS Student Council meets in 1952. The younger students move into a new facility, Edgewood Campus Grade School. The school is intended to serve as an observation and practice teaching site for the college students majoring in elementary education. Edgewood College eventually begins to move into its own new buildings, beginning with the Mazzuchelli Biological Station in 1956, Regina Hall in 1957, St. Joseph Chapel in 1958, DeRicci Hall in 1960 and Weber Hall in 1965. The first Senior Week is held in conjunction with graduation. Begun as parties hosted by parents at their homes, the tradition eventually grows to include a Las Vegas Night, picnics at Devil’s Head Lodge, trips to Six Flags Great America, an Honors Assembly and a graduation reception/senior program. Edgewood’s Nativity scene —stable, figures and lighting—makes its debut, the result of the combined efforts of students, parents, faculty and friends. The original is long gone, but the tradition continues, thanks to a new 17-piece display (above) created as a Girl Scout Gold Project in 2009 by student Claire Petchler ’10 who invested more than 200 hours over five months in its completion. 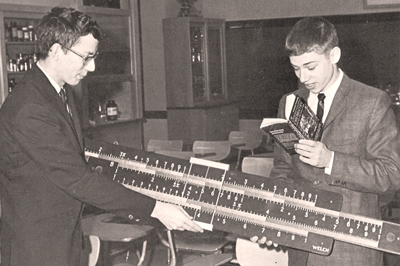 These boys were doing some big calculations with a giant slide rule in the days before hand-held calculators and computers! • In 1962, terra cotta statues of Dominican saints are installed in the naves around the Bishop’s Door at the front of the building — a long delayed decorative element of the original design. • The 1961-62 basketball team goes undefeated for all 25 games of the regular and post-season, earning them the WCIAA state title. In the spring, the baseball team takes its second consecutive state title without losing a game over the two seasons. Then, when the football team returns in the fall, it also goes undefeated, holdng opponents to just 43 points all season and earning Coach Wilke Coach of the Year. • Volunteers pay for and pour a sidewalk along the Edgewood campus’s frontage with Monroe Street in 1964. • In 1965, enrollment tops 900! Work begins on another new addition that will include a gymnasium (the E.J. Wilke Gym), a Commons and cafeteria, a library and instructional materials center, band and choral rooms, new offices and additional lavatories. A swimming pool is added in the lower level, across from the music rooms, in 1972. The Sacred Heart Academy building is razed. The new addition opens in the spring, after a difficult fall semester in which classes scheduled to have been held in the new rooms had to be relocated—including some PE classes in the chapel! Interscholastic competitive sports for girls are offered for the first time as two volleyball games and two basketball games are played against teams from other schools. Edgewood High School hosts the first Edgefest. The annual “city fair” with its rides, food, games, gigantic rummage sale, “Follies” variety show, grilled chicken dinner and beer tent, continues as the school’s major fundraiser until 1999 when the decision is made that the event is too much for the number of staff and volunteers available to serve on committees, organize, set up, run and clean up the event. Bingo starts up in 1974 as an additional fundraiser and the numbers are called every Thursday night for the next two decades. Digging for a renovation of the track unearths “The Rock” that is now at the entrance to the driveway leading up to the school. 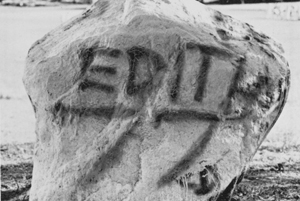 The Rock quickly becomes an outlet for student spirit, trumpeting events like homecoming, championships and graduation, or even for leaving personal messages, sentiments or statements on society at large. • Coach George Chryst ’55 receives the 1978 WISAA Man of the Year award for contributions to Wisconsin independent schools’ interscholastic sports. 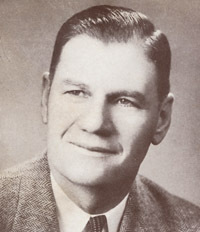 Coach Joel Maturi receives the award in 1980, and both men were preceded by Coach Earl Wilke who had earned the title in 1971. • The first Alumni Appreciation Awards and Distinguished Alumni Awards for service to humanity and to Christian education are presented in 1979 at the Edgefest Liturgy. Adding to the awards, the Edgewood Athletic Association inaugurates its Athletic Hall of Fame in 1992 and the Fine Arts Hall of Fame is launched in 2004. With the merging of donor and alumni recognition into the Living the Mission event beginning in 2010, the Servant Heart Award was established, honoring quiet and humble philanthropy and community service. • Edgewood celebrates its Centennial with a commemorative book and alumni directory, a pewter plate and a slate of concerts and lectures during the 1980-1981 school year. • In 1981 the auditorium is renovated and dedicated to Sr. Kathleen O’Connell. New lighting battens and stage curtains are added as well as a catwalk and technical control room. • The first classes in computer skills are offered as EHS purchases seven Apple II computers and peripherals. • The Wilke Gym floor is replaced in 1982 after being ruined by flooding. • In 1983, the first Crusader Court dinner, in honor of cumulative giving by donors, is held following determination of giving levels in the previous year, with tracking made easier by the introduction of databases. • Sr. Kathleen O’Connell retires in 1984. EHS honors her long tenure with a day of celebration recognizing her guidance of the school through years of growth and her foresight in establishing an endowment at a time when most high schools had not yet done so. Sr. Kathleen Phelan is named the new principal. Sr. Kathleen Phelan resigns as principal and the decision is made to divide the leadership of the school into a president and principal model, with Tom Shipley ’69 as the school’s first president and Steven Bolser as principal. Over the next four years, the Advisory Board is transitioned to a Board of Trustees, and Larry Black replaces Steven Bolser as principal in 1991. Renovation of the Commons, begun in 1987, is completed in 1990, with the exception of all new furniture, which is obtained over the next two years. The library undergoes a major renovation in 1993, including an area of computers for research and writing, and discussions begin that year about a collaborative science facility to be shared by Campus School, High School and College. Another major addition to Edgewood High School, the Krantz Center auxiliary gymnasium and training facility, is completed. A campus transformation is underway, with a new entrance off Monroe Street, a relocation of the athletic field, enhanced landscaping and fences, increased surface parking and a parking ramp, and new runoff control through a retention pond. The centerpiece of the project is the four-story Sonderegger Science Center. Further integration of technology into the curriculum is made possible with the creation of the Gordon Flesch Technology Center, including 40 more computers, in 1997. Over the successive years, upgrades are made to equipment and the infrastructure backbone that allows digital technology to be used in classrooms throughout the building as well as offering a wifi connection for users of mobile devices. The Freshman Interdisciplinary Team (FIT Program) is launched. Developed by faculty, it is designed to help freshmen bond as a class, gain in self-confidence, nurture skills needed for academic success, and provide a common set of themes across core subject areas. More than 250 participants enroll in the new Summer at the EDGE series of week-long workshops and mini-camps for middle school children. The Sonderegger Science Center opens in January, providing classrooms, combination instruction and laboratory rooms, and a lecture hall for all three Edgewood schools. Edgewood High School’s former science lab classrooms are eventually converted into new classrooms for the Campus School’s middle school. Edgewood hosts the first all-school Crusaders in the Community day of service (now Edgewood High School in the Community). 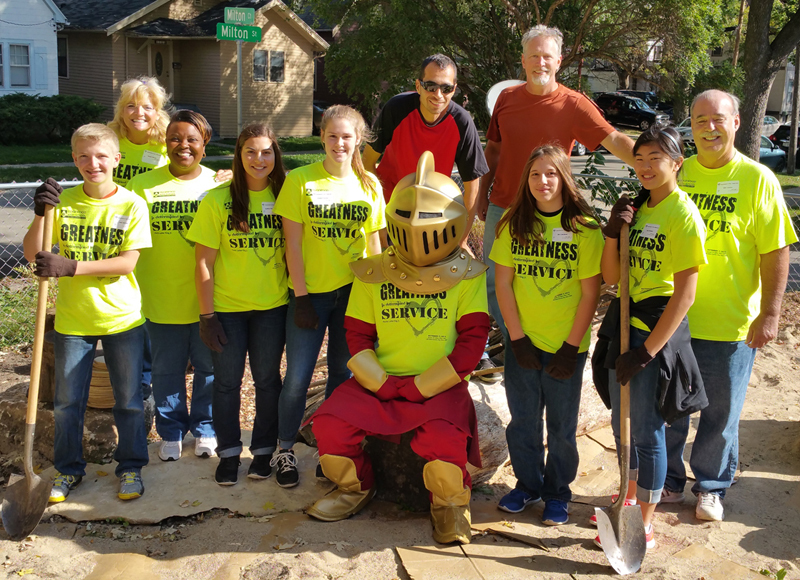 Nearly 800 students, faculty, staff, parents and alumni join in providing a day of volunteerism at non-profit agencies, churches, schools and parks in the Greater Madison area. Each year since then, Edgewood contributes thousands of hours of service in the one-day effort, on top of the 100 or more hours that every student completes as a graduation requirement. The first annual Alumni & Friends Reunion Weekend is held. Meant to replace the community-building, socializing and entertainment elements of Edgefest, the Weekend never catches on and a decade later is dropped. Dennis McKinley ’63 serves as interim President for the 2001-2002 school year until Michelle Clarke is hired for the presidency in spring 2002. ​ In 2002, the Chapel of the Sacred Heart on the first floor is renovated with a decorative paint scheme articulating the room’s trim, new furnishings, carpeting and lighting, and stained glass French doors and windows with Dominican iconography and saints. Eddie’s Outfitters bookstore and spirit wear shop receives a makeover. The keyboard lab is upgraded with a dozen new electronic keyboards, allowing students to practice with individual headsets. The Sonderegger Science Center hosts the first annual Edgewood Science Symposium at which students present their research. The keynote speech is given by UW professor Bassam Shakashiri. EHS participants in collaborative research at the collegiate level write formal papers on their work and submit them for publication in the first Wings of Discovery journal of student scientific research. Subsequent issues of the journal have focused on research conducted during the Environmental Field Studies summer projects in St. Croix State Park. • Judd Schemmel is hired as president in 2005. He works on formalizing policies and procedures, leads the preparation of a series of planning documents and oversees the EHS participation in negotiations for corporate restructuring of the three Edgewood schools. • The Four-Front program is created in 2005, recognizing those current parent donors who make an unrestricted Annual Fund leadership pledge of $5,000 or more for each of the four years their children attend the school. • LINK Crew, a nationwide program at hundreds of schools in the US, is adopted at EHS in 2006 to provide junior and senior peer mentors for freshmen. • A major renovation of the Sr. Kathleen O’Connell Auditorium is completed, with new seats, carpeting, decorative proscenium treatment, wall paint color, sound, lighting and ventilation systems. A dedicatory reception is held in Spring 2006 in conjunction with the Madison premier of the musical, Little Women, staged by the EHS Drama Department. • A new, shared state-of-the-art home for the football and track programs, the Otto Breitenbach ’43 Stadium located at Middleton HS, is dedicated in August 2007. • On campus, the band and choral rooms are gutted and renovated, including improved acoustics, modular practice rooms, offices, updated ventilation and lighting systems. The Walker Music Center opens in Fall 2007. • In a 2007 review of area high schools, Madison Magazine declares Edgewood the top school in the metropolitan Madison area. • After decades of accreditation by the North Central Association of Colleges and Schools, EHS begins a self-study in 2007 in preparation for attaining the more rigid accreditation by the Independent Schools Association of the Central States (ISACS). Approval for membership arrives in 2008, following an ISACS team visit. • The Music Boosters Association hosts the first annual Trivia Night in 2008. The costume party and brain teaser event continues to be held until 2016. The Campus Ministry Room is rededicated after a major renovation, including adequate storage, and new office and classroom spaces. Until 1962 the room had been used as the library (which was relocated to Room 202 until the new library opened in 1968). Over the following years the second-floor room with the palladian window was piece-mealed together to suit a number of uses. In the wake of a horrific earthquake, Edgewood’s aviation teacher, Diane Endres Ballweg ’73, and her son, Ben Ballweg ’97, travel to Haiti with Haiti Outreach, a mission team. The group cleans and paints a school in the rural town of Pignon, which has no electricity, no cars, no paved roads and no water source other than a river. In addition to working with Haiti Outreach, the Ballwegs presents the organization with donations from Edgewood students, parents and faculty: the Edgetones a capella group holds a “Harmony for Haiti” concert and sells CDs to raise $1,700; the freshman FIT program raises another $2,000; and further donations of $500 are contributed. Edgewood installs its first smart interactive whiteboard in a Sonderegger Science Center classroom. The smart board is part computer interface, part digital white board, and part interactive display that uses a touch-sensitive interface and “digital ink,” allowing class exercises and class notes to be saved and distributed electronically. Invitees to the inauguration of Encore, people who wish to support the arts at Edgewood, are treated to a preview performance of numbers from West Side Story and raise more than $50,000 in pledges toward a fund that is dedicated to enhancing the drama, music, art and creative writing courses and fine arts co-curricular activities sponsored by Edgewood. The Wilke Gym undergoes a dynamic renovation, including motorized bleachers in school colors that open and close automatically and feature aisles so that people can climb more easily and safely. The lighting and sound system are significantly upgraded so the facility is more accommodating as an event space. A new paint scheme, new furnishings and a more visible presence of the school’s Dominican heritage complete the transformation. The hockey program benefited from a new arrangement with UW-Madison in which the former Badger women’s hockey practice facility at “the Shell” becomes the practice home ice for the Crusader boys. The boys have 50% more ice time, a single practice location and access to the rink at better hours. In addition, the Crusaders now play their home games on the Lance Johnson ’87 Memorial Rink in the LaBahn Arena. The girls’ Metro Lynx hockey team, a collaboration with other schools, moves into the renovated Madison Ice Arena space vacated by the Edgewood boys. EHS senior and Boy Scout Andrew Ibach organizes a crew, including fellow scouts, to help him create a prayer labyrinth in the grassy area at the back of the building beneath the chapel balcony as his Eagle Scout project. The labyrinth offers a place for meditation, contemplation and prayer. The new Edgewood Parent Community garden committee spearheads efforts to beautify the campus grounds by enhancing and adding to the garden spaces and landscaping. Mike Elliott ’77 becomes president and undertakes an ambitious program of facility upgrades, changes to curriculum and support services, fiscal stability and fundraising. Edgewood girls conclude the fall season with three State Championships (Cross Country, Tennis, Golf), one WIAA Division 2 Runner-up title (Volleyball), and the top two places for diving at the State Tournament (Ginger Lingard ’17 and Gina Jacobson ’15). This is the first time in the history of the WIAA that one school has won three state titles (boys’ or girls’ teams) in a single season and the first time two divers from the same school have finished first and second in Division 2. EHS food service employee Richard Hare wins the “Be Like Mike” Award from the NBC15 television Share Your Holidays campaign, given to individuals or groups who exemplify the spirit of the annual food drive named after late news anchor Mike McKinney and Second Harvest employee Mike Hart—the two “Mikes” who started the effort. Richard has had an on-going commitment to Second Harvest Food Bank, including the EHS student-faculty-staff food drive and his annual birthday raffle that is a fundraiser for local food pantries. A group of parents compile Let’s Eat, Too! an updated edition of the popular EHS Let’s Eat! cookbook published in 1977. EHS engages in a 2013-2014 school year cross-curricular study of the Harlem Renaissance, capped off in spring with a one-day residency at the school and a free public concert in the evening by Jazz at Lincoln Center (JALC) with guest local percussionist Rand Moore and the Edgewood Jazz Ensemble. In addition to each group performing a separate repertoire, Edgewood students play some numbers with the Lincoln Center artists. The EHS Technology Department upgrades 45 rooms throughout the building with new technology, including 42 projectors, 5 smart boards, 2 large format video screens, 27 document cameras, 15 speakers and 18 projection screens. In memory of Lisa M. Nass ’87, the Lowell and Karen Nass family commission Portuguese sculptor Augusto Ferreira to create a new statue of the Virgin Mary to grace one of the niches in EHS’s Sacred Heart Chapel. The face on the statue is one that the family intentionally requested, based on a photograph they saw of a woman who they thought embodied the soft grace, humility and spirituality of Christ’s mother, Mary. Edgewood High School tackles a $1.5 million rebuild of its athletic field and track. The facility, named the Irwin A. & Robert D. Goodman Athletic Complex, provides cutting-edge running surfaces for track and field training as well as state-of-the-art artificial turf for outdoor sports, including football, baseball, softball, soccer, track, and lacrosse. The 1:1 Chromebook initiative is a first among Madison high schools, focused on providing a 21st century education that prepares students for college and beyond. Each student receives his or her own Chromebook for use 24/7, offering the opportunity for personalization of teaching and learning. Edgewood’s spring musical, Mary Poppins, is recognized at the annual Tommy Awards for Outstanding Musical, and the fall production, Into the Woods, is recognized for Outstanding Overall Design. The two shows earned an additional nine individual awards for stage management, lead and supporting performers and dancer, as well as two Spirit Awards, for a total of more awards than any of the other schools. EHS shows also regularly earn a range of awards for set design, musical direction, costumes, ensemble performance and other aspects of musical theatre. The first annual Service Fair for freshmen attracted area non-profit organizations in search of volunteers, giving students an introduction to options in Madison for fulfilling their service requirement. In fall, the freshman class rushed the field to create their class year, photographed by a student-operated drone. from above.